THE CITY OF PLYMOUTH, on England’s southwestern lip, has been a prominent port since as far back as 700 B.C., and would serve two millennia later as the launching point for expeditions in search of the Northwest Passage. It is believed that, in 1588, Sir Francis Drake played a game of bowls by the sea, as he waited for the Spanish Armada to descend upon the city. The Pilgrims, of course, sailed out of Plymouth on the Mayflower and named their landing place in the New World accordingly. To this day, Plymouth is the site of the largest naval base in Western Europe. On the cusp of the English Channel, France and the rest of Europe, the city is "the crucible of maritime history in England," says Kaja Curry, who manages marine affairs for the Plymouth City Council. Plymouth is, in short, a natural choice for the United Kingdom's first national marine park. Proposed in 2017, the project has the backing of the City Council, which is currently reviewing the results of a public consultation completed in late February. Though a more detailed proposal will need to take shape before the national government agrees to designate the blue space, the city hopes to launch the park by mid-2020, as it commemorates the 400th anniversary of the Pilgrims' departure. The park is the latest illustration of a movement some call "blue urbanism," an effort focused on stitching blue spaces more effectively into the cultural fabric of coastal cities. The idea – put to work in places like New York, Baltimore, and London – is gathering momentum as the world's urban population rises, and as many coastal cities confront increasingly volatile waters. While Plymouth's park proposal has broad support, its architects have many specifics to iron out within the short time frame they've put forth, and some are concerned that the project prioritizes branding over science. In a recent paper published in the journal Marine Policy, researchers from the University of Plymouth encouraged other coastal cities to follow Plymouth's lead. Already, they warn, nearly 70 percent of the world's megacities are coastal, and the United Nations estimates that 68 percent of the global population will be living in cities by 2050. And so, the stakes are rising with the seas. According to National Geographic, average sea levels have risen by more than 8 inches since 1880, including roughly 3 inches in the last 25 years alone. Intense floods are leading to waves of mass displacement and migration, and even a metropolis like Miami could be partly underwater by 2100. Experts realize that initiatives like marine parks won't themselves stop the seas from rising. What they're after is a broader paradigm shift: If city dwellers begin to value the marine environment more deeply, perhaps they will become more sensitive to – and organized against – the factors that threaten it. To the extent that they have embraced natural spaces, cities have historically looked inland, content to burden their waterfronts with commercial waste. It's no accident that Central Park, for example, was placed "as far away from the water as you could get," says Timothy Beatley, a professor of sustainable development and urban planning at the University of Virginia, and author of the book "Blue Urbanism: Exploring Connections Between Cities and Oceans." "Most people will see the ocean," says Simon Pittman, a Marine Ecologist at the University of Plymouth and proponent of the park, as a "flat blue expanse and have absolutely no idea that there could be a coral reef underneath, and lots of really fascinating marine life a stone's throw from the beach." 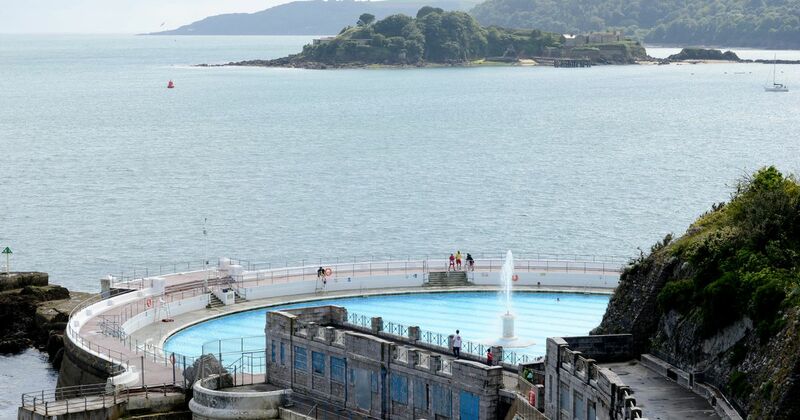 That's why Pittman insists that Plymouth's park not entail any new regulations or restrictions, which could make the seascape seem even less inviting and accessible. Curry, the City Council member, puts it bluntly: Designating the national park is "more about branding," she says, than it is about imposing new practices.